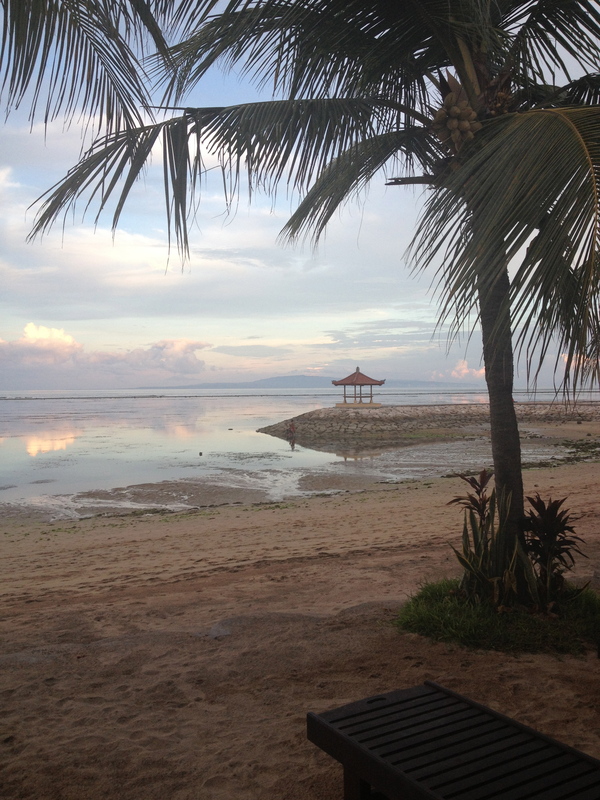 Landed in Bali almost a week ago now and time has just flown! Have been flat strap (that one’s for you Haidan) with my dive course, either in the pool or ocean every day so far. Has been intensive and grueling but really great fun at the same time. Makes it a lot easier that everyone at the dive shop has been fantastic – very welcoming, friendly and entertaining. Had my first ‘real’ students today, assisting on an Open Water Course. Managed to return with everyone intact so that is a good start and they also assure me they are coming back again tomorrow. Have sorted out some wheels for me to get around. The traffic is somewhat more subdued in Sanur than areas like Kuta, which are nothing short of chaos. So far no problems but I am incredibly wary anytime I pass police (who are on almost every corner) after several warnings from my new Bali friends. Seems the traditional means for getting some lunch money is to fine an unsuspecting tourist for a traffic misdemeanor. One of the guys from the dive shop was pulled up a couple of days back for ‘speeding’. At the time he was sitting motionless at the traffic lights…. however it is difficult to get very far arguing with the authorities, so IDR230k (USD23) later he was on his way. I am told IDR50k is the going rate to ‘keep the peace’, but negotiations can start as high as IDR1mio! Also saw a fellow motorcyclist literally swatted with a flag by one of the police officers as he rode past without a helmet. Seems anything goes with these guys, so think I will just try to stay out of their way as much as possible and hope for the best.